The Audi Innovation Talks is a daily programme of conversations with experts exploring the future potential of technology and innovation. The programme reflects Audi’s commitment to informing and empowering the regional design community, through a free-to-attendseries. 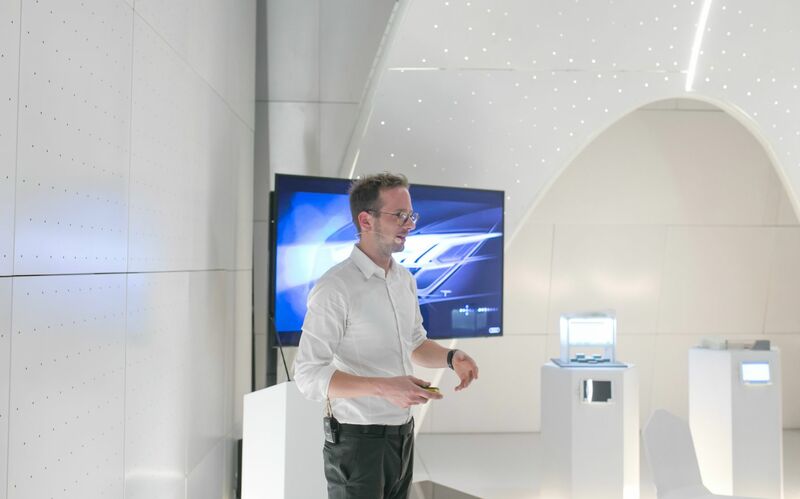 The line-up includes Audi’s own automobile lighting designer Konrad Troger, Riyad Joucka, founder of Middle East Architecture Network (MEAN*) and Manuel Jiménez Garcia, the co-founder of leading 3d print company Nagami. The talks provide experts with an intimate setting to engage directly with audiences in direct q&a and are hosted every evening through Dubai Design Week within the Audi Innovation Hub; a unique space designed by Middle East Architecture Network (MEAN*), functions as a spacededicatedspecifically to solutions and advances in design through innovative problem solving. The Audi Innovation Talks are moderated by professors Dr. Carlos Alberto Montana-Hoyos - Associate Professor & Dr. Raffi Tchakerian - Cross Disciplinary Design, Dubai Institute of Design and Innovation. Konrad Troeger is an Audi Exterior Light Designer, he will explain the highly emotional process of shaping the most powerful details of the exterior of a vehicle, the eyes of the car. Car lights are highly technical, digital objects that require the best possible performance for the driver and surroundings, while functioning as a creative link between these two worlds. Konrad will discuss the future of lights becoming more communicative, social, and intelligent. 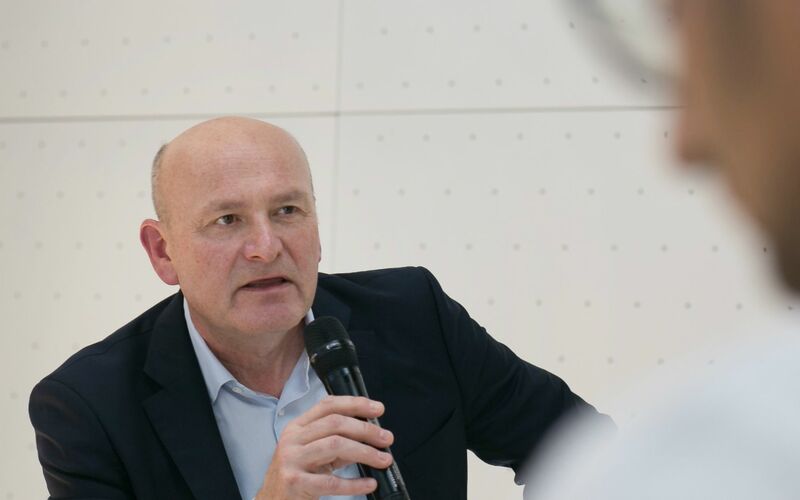 Paul Priestman is a designer, co-founder and Chairman of global design consultancy PriestmanGoode, which specialises in large scale projects in infrastructure, aviation, transport, hospitality and product design. His work is used by millions of people around the world, every day. Jarvis Liu is the CTO and Co-founder of Miniwiz. He has dedicated to upcycling technology which turning post-consumer waste into innovative products and materials on different applications and helps to accelerate the shift to a closed-loop economy. Today, under Jarvis’s supervision, Miniwiz has successfully secured some of our most valuable patents for Miniwiz’s unique post-consumer materials innovately using over 1300 materials made from trash. Manuel Jimenez Garcia, a registered architect in UK and in Spain, with a background in computer programming and digital design, develops computational methods to rethink design and manufacturing in a new technological era. Riyad Joucka is an Architect, Entrepreneur and Researcher, based in Dubai. In 2015, he founded the ‘Middle East Architectural Network’ MEAN*; an Innovative Architecture Practice, the synergistic counterpart to ‘Middle East Architecture Laboratory’ MEAL*; An Experimental Design Repository. Two symbiotic organizations aimed at amalgamating material research with computational design solutions.